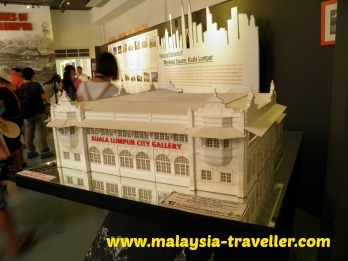 Kuala Lumpur City Gallery is one of KL's newest tourist attractions. 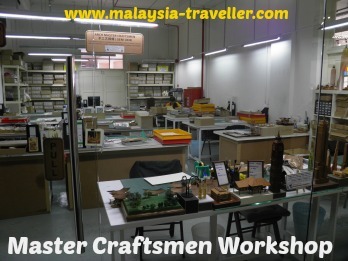 It is owned by ARCH, a Malaysian commercial concern which makes and sells 3D wooden pictures and models of famous landmarks from around the world and other gifts and collectables. The gallery is housed in the 115 year old former Government Printing Office, one of KL's finest heritage buildings located on Merdeka Square. ARCH deserves credit for doing a good job in helping to preserve Malaysia's heritage, in particular with the creative use of this historic building. Inside there is a tourist information counter where visitors can obtain details and maps on where to go and what to see in KL. 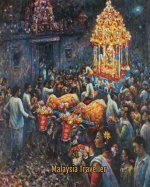 You can register here for the Free Little India Walking Guided Tour and also for the Free Dataran Merdeka Heritage Guided Tour. This latter tour departs from here at 9am every Monday, Wednesday and Saturday and lasts 2 1/2 hours. The main galleries contain photos and maps of old KL and give some historical information. 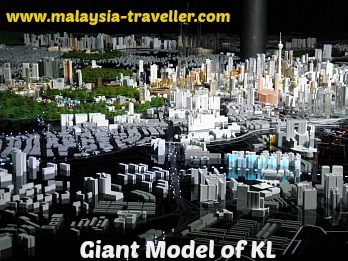 The showpiece exhibit is a huge scale model of Kuala Lumpur together with an audio-visual presentation. Currently there is an architectural award display filling some of the temporary exhibition space. You can see the workshop where ARCH's master craftsmen and women labour over their precision models. The bulk of the ground floor space is given over to a gift shop where a wide range of ARCH products and other souvenirs can be purchased. While in the shop you can admire the cast iron columns and trusses used in the construction of this fine old building. 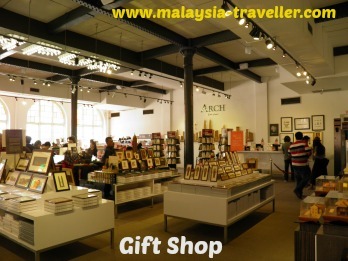 KL City Gallery is not really a museum as such but it is a great place to buy some genuine made-in-Malaysia souvenirs and an opportunity to see inside one of KL's top heritage buildings. I recommend a visit here. The Gallery is open daily from 9am to 6.30pm. Admission is RM5.00 - 3 years and above. The ticket price is fully redeemable at ARCH Gift Shop and ARCH Cafe (gallery outlet). The gallery is located on Dataran Merdeka in the heart of KL's tourism zone, next to the Music Museum (old Chartered Bank Building). 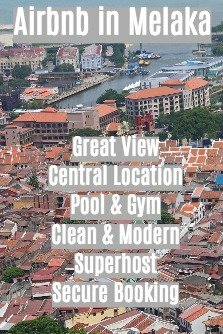 And it is a five-minute walk from Central Market. You can find more information about ARCH Collection on their official website. 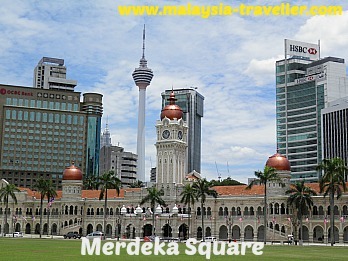 For other Top KL Attractions in this vicinity please take a look at my Kuala Lumpur Heritage Trail.